The Radio Roadmovie series is an aural reflection on the concepts, cliches and emotions associated with roadmovies as an idea. 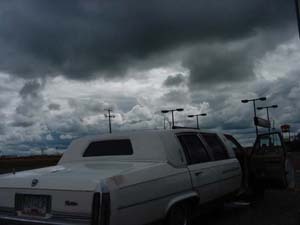 In this context, roadmovies stand for the genre of creative production that borrows its focus and rhythm from the cinematic format.Roadmovies generally are a vehicle to develop a plot, and in some of the finest examples they use the physical location, movement to illustrate the emotional and intellectual landscapes of the protagonists. More often than not roadmovies are made on a low budget and allow the simple, poetic concept of travel, and the chronicling of it, to tell the story. In another example, the film-genre has bled back into the modern literature, greatly enhancing the field of travel-writing aswell as making new cultural imagery available for novels and poetry.